These Rong Seating models are available at FormFonts by subscription. The 3D models are available in 3D Studio Max, SketchUp, Collada, and Native Revit file formats. Yes! FormFonts 3D now has Revit models! This 3D model of a cash register was requested by one of our FormFonts 3D Model subscribers. If you are a subscriber, we take requests! 3D File formats available include: 3D Studio Max, SketchUp, Collada, and Autodesk FXB. This 3D model of a cute ute is available at FormFonts.com in several file formats including: SketchUp, 3D Studio Max, and Autodesk FXB. Given the recent success of tablet computers, there’s been no end of experimentation with this closed form factor. Apple and Amazon are now making mini-tablets that are barely larger than a phone. And some cheeky vendors are now calling their phones… ‘phablets’. So this monster tablet from Lynx A immediately caught my eye. The LynxA Camera actually has stereo cameras embedded in this beefy slab, so it can scan/generate 3D models in real time. Fig 1 – The Lynx A tablet scanning and generating a 3D model of the room in real time. It helps that this huge slab’let also has an LCD screen, so you can immediate spot and correct ‘holes’ in your 3D scan in realtime. The Lynx also has three different scanning modes: 1) Scene mode – for areas up to 1000 s.f. ; 2) Object Modeling mode – for singular objects that are scanned by walking around them (below); and, 3) Motion Capture mode for animators. Fig 2 – The Lynx 3D slab’let being used in “object mode” to scan a human figure. The Lynx A was created by Lynx Laboratories, a Texas-based company comprised largely of students from the University of Texas at Austin – the technology that went into the camera was developed at the university. Lynx Laboratories is currently raising production funds for its device, on Kickstarter. You can be the first to get a Lynx for a pledge of only $2,600. That’s a bit spendy but the price will likely come down if you can wait a bit. Thanks for reading and being a valued subscriber to FormFonts 3D Model Library. We’ve written about LA production designer Ed Haynes before. Back in October 2011, we interviewed him to learn a more about his process and how he uses FormFonts 3D models in his workflow. Ed grew up in a noble family of architects and interior designers. To be different, he went into set design, and his cannon of work ranges from theatrical set design, trade show booth design, restaurant concepts and interior design, and most recently – the Tesla Model S launch. For our loyal subscribers like Ed, FormFonts will make 3D SketchUp models on demand. Ed requested the TESLA Model S, and we were happy to oblige. Our world class 3D artist Gabriel Concha jumped at the challenge to model the beautiful electric vehicle. 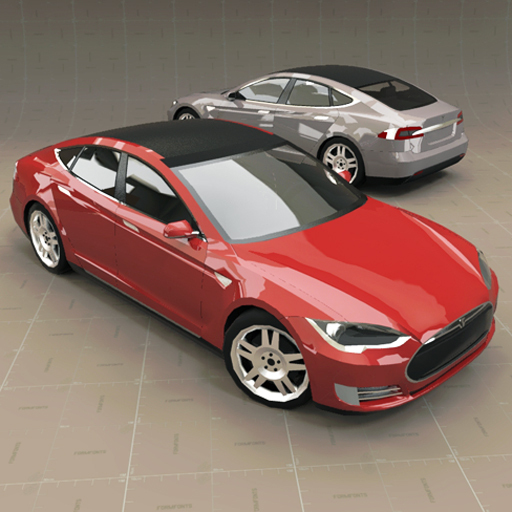 Fig.1 – TESLA Model S – 3D SketchUp model made by request, for Ed Haynes, by FormFonts.com. (Regular readers will know that Gabriel has something of a transportation fetish). Below are some renders of the TESLA event, courtesy of Ed Haynes. The first two images are of the MotorTrend Car of the Year unveiling at Skyline Studios in NYC, and the bottom image of the Hangar, was the reveal of the new Tesla Model X at the Tesla Design Studio in Hawthorn, CA. Check out Ed’s website Carbonmade, and thank you for being a valued FormFonts 3D Model subscriber. The Z-Space display is being developed by a California company called Infinite Z. By tracking user’s eye movements with 3D glasses, the display creates not only the illusion of 3 dimensionality – but unlike most 3D systems – it persists the object in fake space. This ‘visual persistence’ means users can actually ‘look around’ or ‘look under’ an object floating in 3D space. The effect is visually stunning and transformational. The display becomes a true spatial database, rather than a simple 3D POV projection. Fig-1, ‘Z-Space’ Display enables persistent 3D visualization, so you can look at objects ‘in the round’. The technique, which the company calls “Virtual Holographic 3-D,” also lets you manipulate virtual objects as if they really were floating just inches in front of you. Why it matters? The results of interactive and persistent 3D are stunning, and may open new vistas in design, animation, and computer gaming, and augmented reality. Thanks for reading and subscribing to the worlds largest subscription library of professionally made 3D SketchUp components – FormFonts3D Models. Z-Space website (website is currently down). It’s difficult to teach young architects how to make objects (and surrounding spaces) relate to one-another in an intentional way. Intentionality requires the mastery of abstract concepts like order, harmony, contrast, proportion, scale and repetition.. not to mention enviable craft in physical 3D model making. The rigors of real-world spatial literacy are also no match for the ease of digital form finding. Using powerful and accessible 3D modelers like Rhino and SketchUp, first year students can produce visually stunning and sophisticated forms, albeit with almost no intentionality. Only the best design studio instructors have the discipline, creativity, and skill to substitute rigor for reward. And even then, they are few and far between. Consequently, 3D software has effectively destroyed what little pedagogy (if any) schools of architecture were able to muster previously. Well, so much for intentionality. It’s all about expressiveness these days anyway! Perhaps that’s why I love the new exhibition of Danish Artist Tommy Støckel’s work. Støckel uses off-the-shelf materials like printer paper and styrofoam to build environments that look startlingly digital. Fig 1 – Paper-Made Art Installation of Berlin-based Danish Artist Tommy Støckel. Støckel has worked in digital media before, and it seems clear he enjoys bending the representational limits of digital vs. analog. In 2007, he used Second Life to build Primitive Collection Field, a piece of land art that completely subverted the meaning of the term. In his Escher-esque installation (below), Støckel lifts implied dimensionality from a 2D pattern of shade and shadow, gently into 3-dimensional space. And it’s these representational paradoxes – the shifts between 2D and 3D, pixel and voxel, and digital vs. analog, that seem to inform Støckel’s work on an ongoing basis. Fig 2 – 2006 Installation view – Frankfurter Kunstverein. Architecture design studio instructors could learn a lot from Støckel’s work – it reinvents traditional craft in a digital idiom that is fun, sophisticated, and accessible to a net-native generation of new young designers. Why does it matter? Design is a procedural art of decision-making. 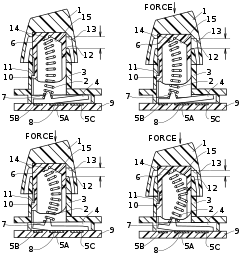 Without physical craft, there is no impedance to design thinking. Naive designers are trapped in a friction-free media, and cannot access the economy of decision-making that comes from real-world physicality. Thanks for reading and subscribing to FromFonts 3D Models. Someone once asked me why Starbucks makes such an elaborate ritual out of ordering coffee. My sarcastic answer was; “So people who don’t have much to do, can feel like they accomplish something substantial every morning.. just by ordering coffee!”. But putting all sarcasm aside for a moment: precision does have its pleasures. My all time favorite keyboard is the early IBM electronic keyboard. Nothing enhances the feeling of precision keyboarding like the patented mechanical ‘buckling springs’ used in these keyboards. In other words, as the characters flow to your fingertips, you are given an overwhelming sensation that you are quite literally, and metaphorically.. ‘crushing it’. (Above) The IBM ‘buckling spring’ patent diagram and keyboard, and (below) the new microfluidic touchscreen from Tactus Technology. 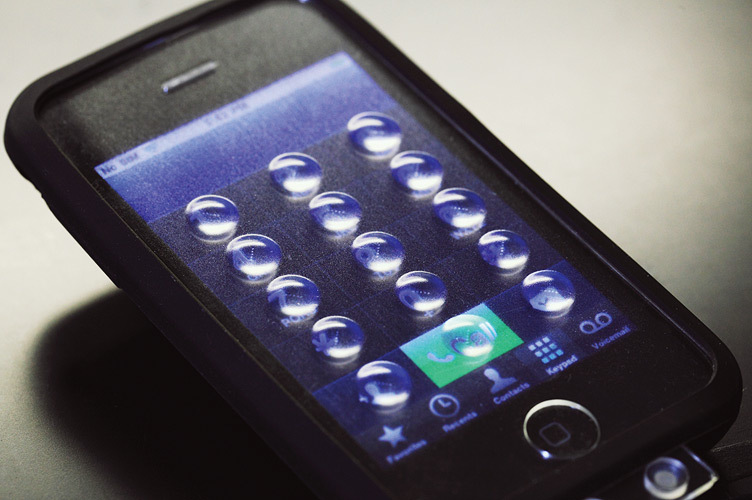 A panel replaces the glass top layer of an iPhone 3. The user must depress a button to type a number. These subtleties are not lost on Tactus Technology, a start up in Fremont, California, that is prototyping touch-screen hardware with buttons that emerge when you need the feel of a physical keyboard, and then disappear when you don’t. Their approach, in which a fluid-filled plastic panel and cylindrical fluid reservoir replace the usual top layer of glass, is among a crop of emerging technologies aimed at adding tactile feedback to make screens feel like old-fashioned keyboards. Personally, this shape-shifting technology can’t get here soon enough for me. Back to the Future!